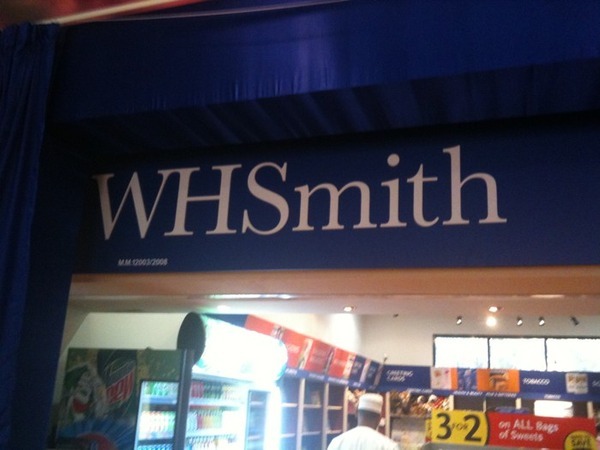 WH Smith is now open, in Oasis by the Sea (where Pizza Express is) Jawharat A Shatti (where Darcy's Kitchen is) in Shatti. I'm going to take a look at it later, to see if they have any books. I wonder if this will be much competition to Borders? It's certainly in a pretty handy location. Burger King still is not open by the way. Edited: Thanks Loola for updating us on where it is. 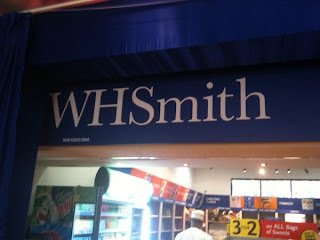 Muscat's very own Jet Driver (author of the amusing Omani Space Program stories - part 1 & 2 - one does wonder what Nasser Bin Tumoon has to say about what the astronauts like to eat when in space) has just updated us that the Turtles location at the airport has also been converted to a WH Smith. I wonder if the Intercon has been changed too? It's actually in Jawharat A Shatti, in place of where Turtles used to be. It's nothing special - in fact, it's an ugly, open mini-mart looking place with paperback books racked up on the walls and the visual emphasis now on the candy, snacks and sundries. No more enticing displays to linger over, as there were when it was Turtles. There may be more popular mass-market books to choose from, but the space couldn't be more unattractive and unwelcoming. Too bad Turtles left. some kind of black sticky tape !!! Does anyone know if they are planing to expand? Expats should be celebrating the opening of another bookshop. Maybe more people are reading and how great is that !